With great joy we are proud to invite you to our 9th annual encounter with Mestre Jogo de Dentro. 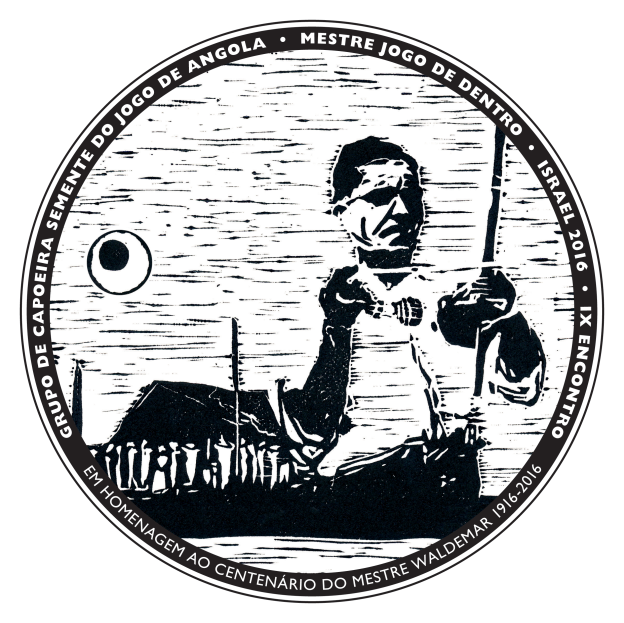 This year’s event is dedicated to the 100th year of Mestre Waldemar (1916-2016), who had an important role in maintaining and preserving the tradition of capoeira angola. 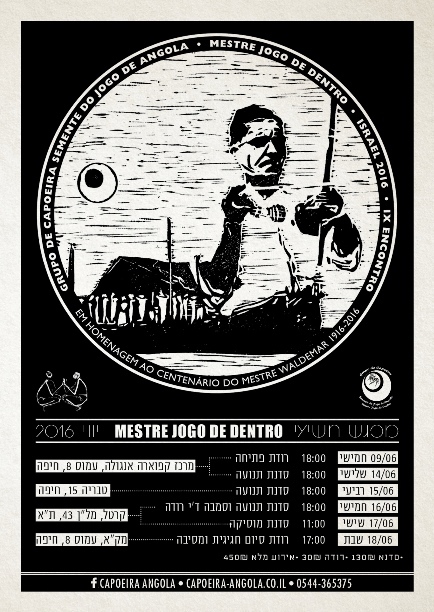 along the event we will try to shed some light on his life and work through lectures, audio and video recordings. **cost: one class 130 nis // roda 30 nis // TLV classes-200 nis // everything- 450 nis.